The Amundsen Sea continental shelf is one of the remotest areas of coastal Antarctica, and was relatively unexplored until the late 1980s. Over the last two decades, increased oceanographic and geological interest has led to several cruises that resulted in sufficient bathymetric data to compile a fairly detailed regional map of the Amundsen continental shelf. The glaciers and ice streams that end in the Amundsen Sea are thinning faster then other glaciers in Antarctica and one hypothesis relates this thinning to enhanced melting of the glaciers and ice shelves in this area. This melting could be caused by warmer ocean water tht enters onto the shelf and is trapped in deep troughs under the ice shelves. During several scientific expeditions over the last few years a significant amount of new bathymetry data were collected. 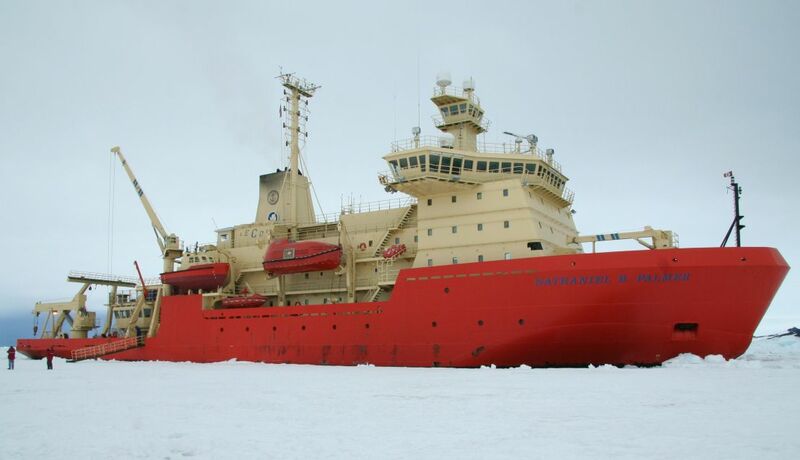 In 2006 and 2007 I participated on two expeditions with the German research vessel Polarstern (2006) and the american ship NB Palmer (2007). To see impressions of these two successful expeditions follow the link below. 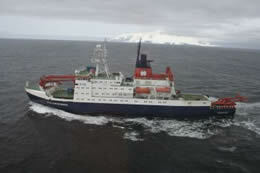 Impressions from the 2007 expedition (NBP07-02) with NB Palmer. 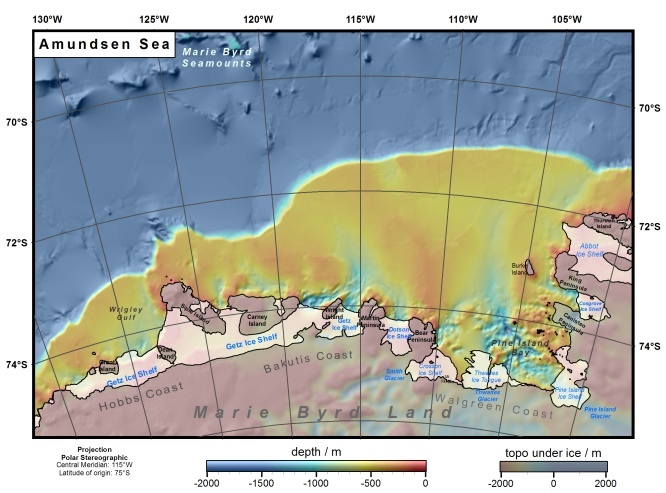 Based on the new multibeam bathymetry data and combining other available older bathymetry and echosounding data from this area we created a new bathymetry map of the Amundsen Sea. Bathymetry of the Amundsen Sea Continental Shelf: Implications for Geology, Oceanography, and Glaciology. Geochemistry, Geophysics, Geosystems,8: Q10009, doi:10.1029/2007GC001694. Gridded bathymetry data of this map can be accessed through the Antarctic multibeam synthesis database. The map is also available as a GoogleEarth overlay in form of AmundsenBathymetry.kmz file.